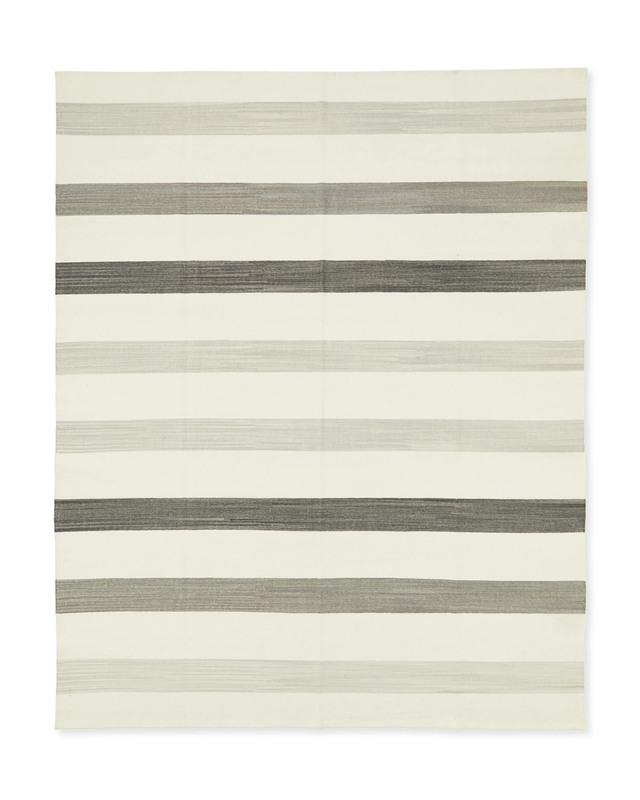 Playa Stripe DhurriePlaya Stripe Dhurrie, alt="Playa Stripe Dhurrie, "
Print Quietly shifting from stripe to stripe, soft tonal shades take this beachy rug in a modern direction. Consider it a jumping off point to play with color throughout the room. Rotate your rug every 3-6 months to prevent excessive wear and sun exposure in one area. Do not pull on loose ends. Either tuck back or snip with scissors and knot ends. All wool rugs shed, but with proper care and treatment, most rugs stop shedding after 3-6 months. For best results, vacuum regularly on a low setting without the rotating beater brush. The bristled brush digs into the fibers and will ruin your rug. Most rugs ship via FedEx Ground and arrive within 5-7 business days of order receipt. 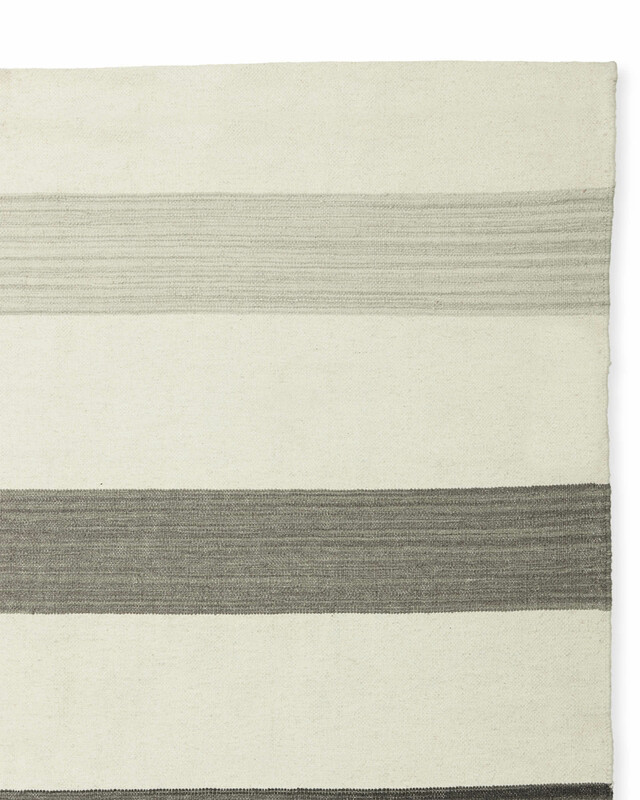 This rug sized 11’ x 14’ or larger ships via White Glove Delivery and arrives within 2-4 weeks of order receipt.